This entry was posted in Europe, Food, History, Hotels, Travel and tagged Collectables, Culture, Hotel Bathrooms, Hotel Complimentary Shampoo, Hotel Shampoo, What to steal from a hotel. Bookmark the permalink. In my younger business days three of us used to travel around the country, to together, staying in Crest Hotels as you got stamps on a card for free weekends. We’d meet up on a Friday and compare how much stuff we’d accumulated and/or nicked from these hotels. One week two of us created a spoof letter on Crest notepaper accusing Wayne of “inadvertently packing the curtains…” on his recent trip to Glasgow. He nearly wet himself! That’s a Blast from the Past, I just about remember Crest Hotels! I can’t resist the fold out leaflets about the local attractions that you often find in the lobby . I always spend a good quarter of an hour taking one of each. Some I have had for years as they make good book marks, and in many cases, a reasonable alternative to reading the book! I’ve never ever been tempted to steal a Gideon’s Bible or coat hanger as we have a thriving colony in one of the wardrobes. I collect those little leaflets as well. It drives Kim nuts! the shower cap. which i have never used one in my life. I just always leave that one behind, just can’t think of an alternative use for it! Before of those toilettes only from 5 star ok but most are cheapo items. I take a good soap or pen and that is it. Pens always come in useful! I always take the combs. I have long hair and a lot of jackets. There is a comb in every coat I own. I will also raid the maid’s cart if it’s left unattended. My peeve is the hookless hanger. Hate those things. Bottle openers that are attached to the wall by a chain. To remove things you have to take a screwdriver with you in some places! oh yes! I will raid the maid’s cart too! Particularly for coffee for the next morning, as they never leave enough for me in the room. Tea bags, there are never enough tea bags. I would happily swap the coffee for tea bags! We saved them as well and used them for guests to use. Good idea, a touch of class! A great post, Andrew. Now can we have one on café sugars, ketchup, mustard, brown sauce, etc.? Anything that is for grabs Derrick. Thanks! I totally disagree! We are drowning in plastic already, we don’t need all these wasteful little bottles. I prefer hotels with refillable dispensers on the wall, much greener. I admit I don’t always take my own stuff – flying can make that tricky – but if I don’t, I take the bottles on to the next hotel until they are finished. I get really annoyed to come in and find housekeeping has replaced an unfinished bottle with a new one. I do agree Anabel and I might have made that point had a written this piece with my environmental head on. Thanks for the contribution. These days since you always have to use a credit card to secure a reservation, I suspect if you were to take more than those silly little bottles of shampoo, or whatever, you would find an additional charge for a larger item at an inflated price. I remember one hotel listing what they would charge for a sheet, or towels, or blankets, etc. I wonder if that put a end to the pilfering, or if they followed through on the threat. Have to agree with Anabel about the waste of using all that extra plastic. I agree with Anabel too but this wasn’t meant to be a serious post. I didn’t have my environmental head on! 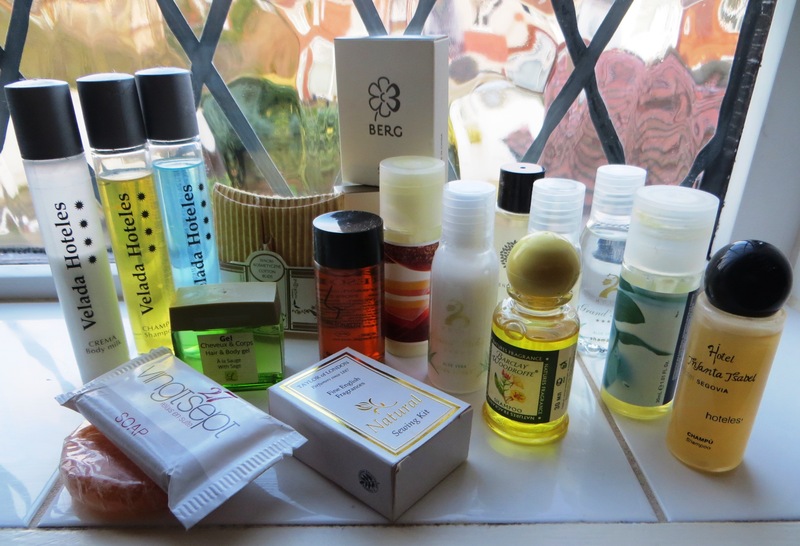 I had never been to a hotel that didn’t supply little bottles of cleansing liquids until I visited the UK in 1977 (my first trip outside of North America) and was shocked to see they even expected you to bring your own facecloth!! Ha Ha: We took a while to catch on! I take the body creams as I get through a lot of this, but nothing else. I nearly succumbed once to a towel when we stayed at the Hotel Sexi (meanly 6th) in Spain somewhere near Cadiz because of the name. My favourite hotel in Thailand, the Dusit Thani Hua Hin, gets an extra mark because it provides small containers of talc. Talcum Powder! WOW, I would definitely take that! This was a fun post and I’m so glad you just came right out and admitted that you take the freebies! I too, was mesmerized in the beginning, and took all the bottles each night, just to watch the magic of them being replaced the next day. 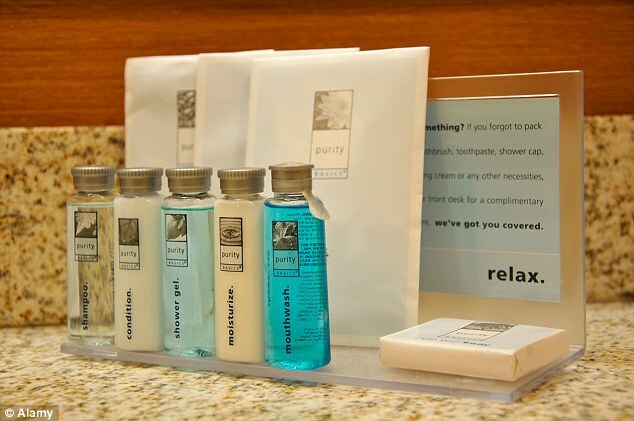 But now, my own “lotions and potions” are selected with care typically, and only a rare hotel soap will win my delight. It seems to me that there is an increasingly high quality of amenities found in the bathroom; perhaps it reflects the quality of hotels I choose. 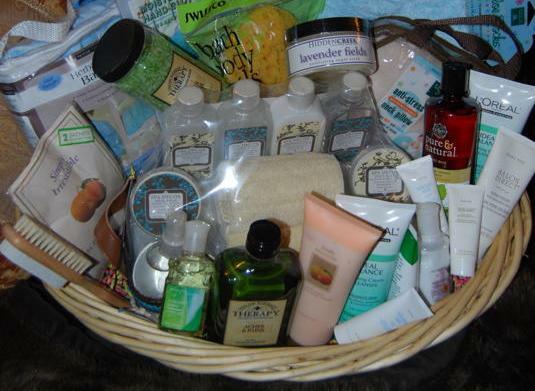 On two occasions I have loved the little shampoos and soaps so much that I tried to buy the product online. In both cases, the product was not available in regular-sized bottles, but only in tiny hotel sample sizes, and only sold in bulk. I confess that I have never been so impressed with the freebies that I have tried to buy them! I’m glad I’m not the only one who gets excited to see what complimentary toiletries are in the hotel bathroom. Japan was by far the most exciting with, toothbrushes, toothpaste, hairbrush and razors!! My favorite take away, so far, has been a pair of bedroom slippers from the Fairmont in Heliopolis. Wasn’t sure whether taking them was kosher or not, but I fell in love with them. They now go with me wherever I travel! Slippers are good to take away, don’t feel guilty! A great post! I’ve always found that Kimpton hotels have great bathroom products. as well as plenty of items you can request from the concierge – many of which are yours to keep!